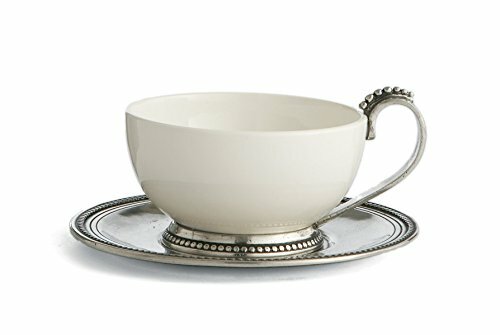 Graceful white ceramic is hand-finished with a delicately beaded pewter rim. This cup and saucer is perfect for fine dining or everyday. Italian ceramic and pewter, Hand made in Italy. Dishwasher safe on the low-heat/air-dry setting, non-abrasive detergent recommended.